Western style in technique and the use of colour was what the first student generation trained in this school obtained. The techniques however were employed by the graduate artists to depict the aesthetic essence of Vietnam, especially the freedom and generosity of an Asian soul. Such a fundamental beginning had laid the foundation for the younger generations to follow and again led to their success. 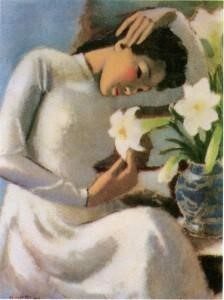 In the 1930s, 1940s, and 1950s, the first generation of Vietnam Is modern artists joined in the international market of art and was highly evaluated, in Vietnam as well as overseas. From then on, they gained good reputation and were honoured the masters of Vietnam’s modem art. Among them were To Ngoc Van, Nguyen Phan Chanh, Nguyen Gia Tri, Bui Xuan Phai, Le Pho, Tran Van Can, Nguyen Do Cung, Nguyen Lien Chung, Nguyen Tu Nghiem, Duong Bich Lien, and so on. At present, members of’ the first generation have all gone; nevertheless, their names leave become almost immortal in Vietnam’s art history. The wars against colonialists and the U.S. imperialists unintentionally parted Vietnam’s modern art into various styles, each of which has its own way to proceed toward perfection. This was most clearly seen in the differences found in the works of art of the North and South during the separation of Vietnam, the fierce struggles and people’s fighting spirits were reflected on the one hand whereas realism-criticism, romanticism, and escapism into the dream of peace pervaded the art landscape of the occupied South. 1: The integration and catching up between the Northern and Southern styles. 2: The integration into the international market of modem art writes preserving the traditional genres and the mythical nature of the Oriental. Vietnam’s contemporary art was heart of a nation that underwent relentless upheavals. Peace regained from the wars of national defence has become a unique source of living materials never seen in art elsewhere. And such materials leave provided artists now and in the future powerful inspiration. Before 1975, the Northern contemporary art developed in the direction of socialist realism, with the establishment of the Resistance School of Fine Art in the early days of the revolution in the 1940s, and the fighting and working spirits are still depicted in paintings of resistance artists, most of whom are now retired soldiers. These works in the eyes of art collectors reflect the nostalgia for Vietnam’s latest era of heroism. Without seeing the collections of art by Vietnamese veteran artists, it would be difficult for us to imagine the longings of an artist behind bars gazing the beaches on Con Dao and Phu Quoc islands, or the spiritual power of Vietnam shrouding over the Ca Mau Mangrove Forest, Sat Forest, and rubber plantations in the Southeast, or on the Ho Chi Minh Trail along Truong Son Ranges when the troops stopped over. Between the 1960s and 1970s, members of the Young Artist Association including Nguyen Trung, Lam Triet, Nghi Cao Uyen, Ho Hun Thu, Nguyen Lam, Nguyen Phuoc, Do Quang Em, Trinh Cung, etc. brought about a fresh breeze of creativity, gaining a good reputation in Vietnam and the outside world. Presently some of them are living in the U.S., sculptors Mai Chung, Duong Van Hung and painters Hieu De, Nghi Cao Uyen, Lam Triet, Nguyen Phuoc, etc. Those remain in Vietnam, Ho Hun Thu, Nguyen Trung, Trinh Cung, Do Quang Em, Nguyen Lam, Cu Nguyen, together with Lam Triet who recently returned from overseas, have become a valuable core group. Besides, that the young artists of surrealism, semi- abstract and abstract schools of art under the instruction of Nguyen Trung and Ca Le Thang, have injected a new atmosphere of creativity, and helped accelerating the integration of Vietnam’ s contemporary art into the world. This has been a spontaneous act which utilises the cream talents of the North and South youth just as they set out to achieve when coming to the world of art. Before 1990, it was scarce for an artist to sell his painting for over USD 1,000. Since early 1992, bower, the prices of Vietnam’s paintings soared up significantly due to their distinct quality. The price of about 3,000 USD for a painting was quite common. In 1993, Ho Huu Thu’s abstract lacquer paintings were sold at the price USD 15,000 to a Japanese collector. At the end of 1995, in La Vong Gallery in Hong Kong the realistic oil-painting “The kettle and the Tea-cup” by Do Quang Em was sold at USD50,000, breaking all doubts on the prices of the artist’s paintings in the domestic market and providing a stimulus for other artists. 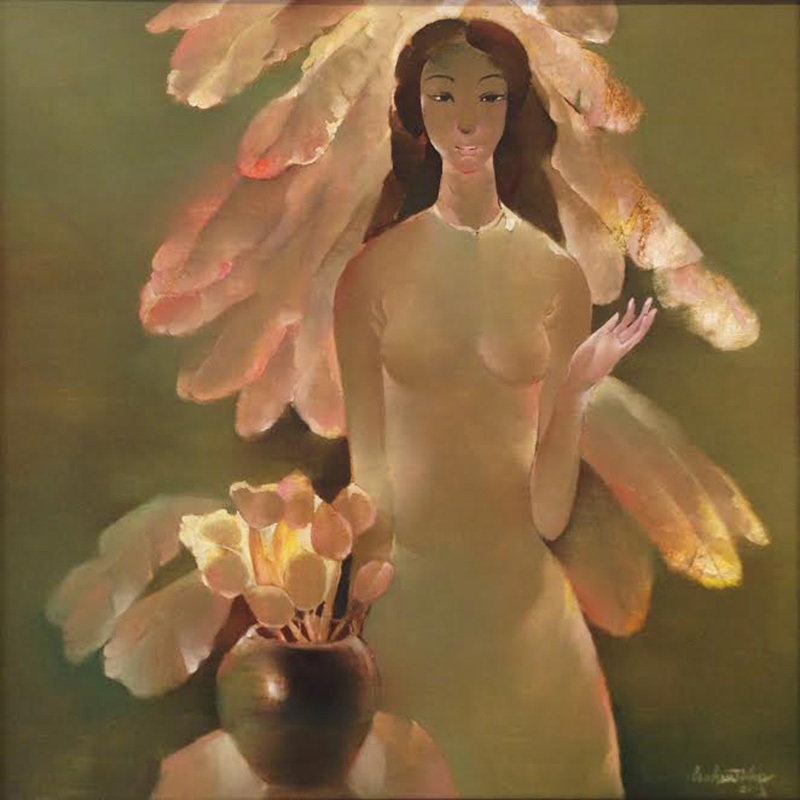 Also from the year 1990, when many Vietnamese artists were asked by collectors, galleries and the World Cultural Association to display their paintings at international exhibitions in the U.S., France, Denmark, Australia, Hong Kong, Singapore, Japan, Malaysia, and Thailand, their artistic skills were highly evaluated by the international art community. From then on a translation market appeared with the increasing number on international collectors coming to Viet – Nam to buy paintings on the spot, and to invite individual artists or groups of artists to participate in overseas exhibitions. These undertakings have enabled Vietnam’s art to quickly re-join the art world after years of interruption… However opportunities for the majority of artists to exchange with the world are still scarce. 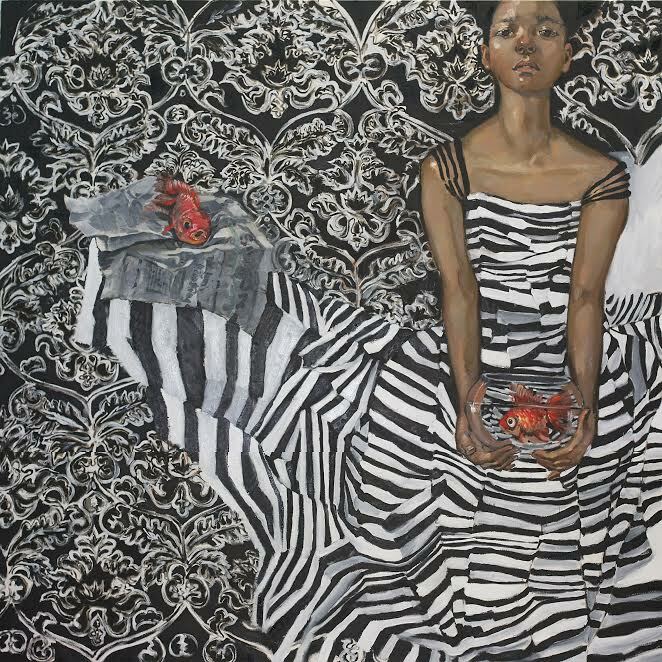 For some gifted artists, their difficult financial conditions are a major obstacle as they do not easily have opportunities to come into contact with art collectors. Equal opportunity for the artist community in terms of participation in domestic and international exchanges, especially for the visual arts, is an essential precondition for the artists to get to the summit of their creative work. That is a target for the world in general, and for Vietnam and Ho Chi Minh City in particular. The requirement has been acknowledged by the cultural and arts authorities, the various associations and groups including the Association of Visual Artists, the Writers’ Association, the Re- porters’ Association, the Ho Chi Minh City Fine Art Association and so on, but the ongoing activities have not brought much results.